In March we sponsored Chicago's Brookfield Zoo Share the the Care Program with a continued donation to Hudson the polar bear and a new adoption of Potoka the giraffe. For April, May, June we didn't find any charities to feature during this time. Nothing stuck out to us. 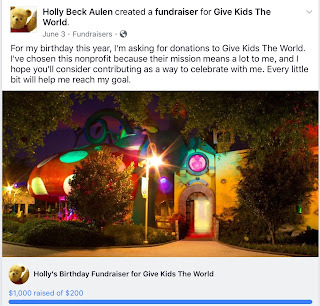 In late May Holly decided to use Facebook's "Dedicate Your Birthday" to charity function as a way to promote one of our favorite organizations: Give Kids the World. We decided to donate 3 months worth of Charity of the Month funds to this cause. Thanks to the generosity of our friends Holly raised $600 through her Facebook post. We kicked in another $400 to make it an even $1,000. 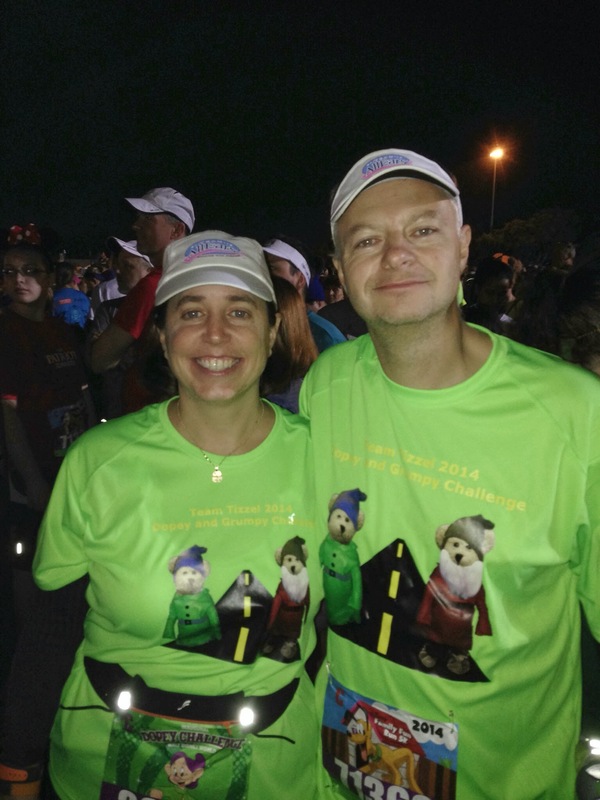 Our friends Bob and Barb Kennedy will be participating in the Pittsburgh Cure Sarcoma 5K in memory of a family member. "Sarcomas are cancers that arise from the cells that hold the body together. These could be cells related to muscles, nerves, bones, fat, tendons, cartilage, or other forms of “connective tissues.” There are hundreds of different kinds of sarcomas, which come from different kinds of cells. In January 2011, Drs. Hussein Tawbi and Kurt Weiss with UPMC Hillman Cancer Center, chaired a start-up committee of 12 members who joined with the Sarcoma Foundation of America to fundraise and raise awareness for the Pittsburgh area and beyond. The group pursued a 5K event with a goal to raise awareness and support others who have been affected by this rare cancer. This event, along with the creation of the website, garnered much attention in the Pittsburgh region and gathered many families who have been affected by sarcoma cancer. 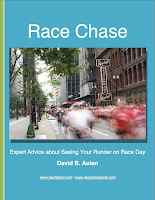 The overwhelming success of the initial 5K fundraiser in 2011 set the foundation for this to be an annual event, which has continued to grow each year in participation and funding to support research. To date this event, as well as an annual golf outing, has raised over $1,000,00,000 to support sarcoma research here in Pittsburgh and across the nation through the Sarcoma Foundation of America (SFA). Since 2012, the SFA has presented a research grant named in honor of Pittsburgh Cure Sarcoma to a sarcoma researcher in the United States to continue efforts to development innovative treatment approaches for sarcoma. This would not be possible without the support and participation of major sponsors in the Pittsburgh region and involvement of generous patients and their families. Please join us to help ensure that our progress to support sarcoma research continues.